The original series on the old blog back in 2008-09 had 39 parts as that was the number of singles that had been released up until then. Many biographical books which go into a second or third issue in later years often have an additional chapter at the end to bring this up to date and I’m going to do the same with the Moz singles that have been released over the past 5 years. The original part 39 will however, be kept to the very end as it contains a nice tale. It was in September 2010 that Everyday Is Like Sunday was reissued to coincide with the 20th Anniversary of the release of the Bona Drag compilation. 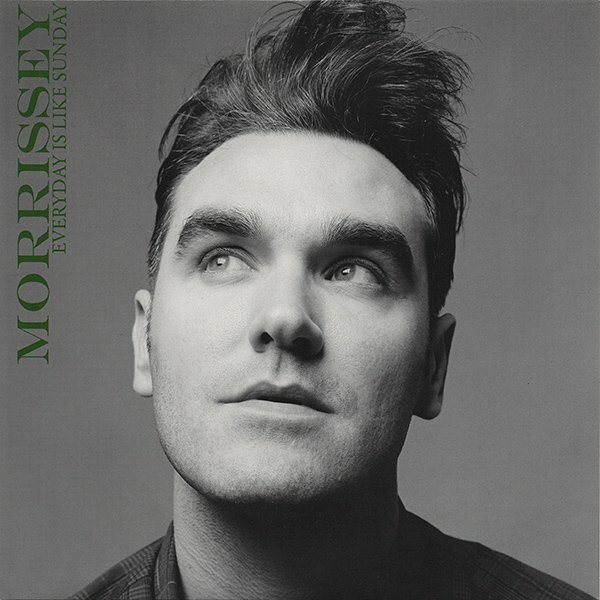 It was the first of an increasing number of Morrissey singles that I haven’t ever bothered to buy simply as I didn’t like the sentiment of, for the sake of keeping the collection complete that I’d need to shell out for a CD single and 2 x7″ singles, all of which were full-price, with only one new track being available. All three versions had a digital remaster of the title track (big wow!!). The CD had the previously unreleased track, November The Second, plus 2 video clips featuring the original promo plus a Top of the Pops appearance from 1989. Single #1 had a really lame live version of a New York Dolls song recorded back in 1991 while Single #2 had a live version of Everyday Is Like Sunday recorded live in 2007. And then when you listened to the unreleased track you discover that it is merely an alternative (but not that much different) version to November Spawned A Monster. All in all a shabby release just looking to make a quick buck with little added value. But it sold in enough quantities to reach #42. 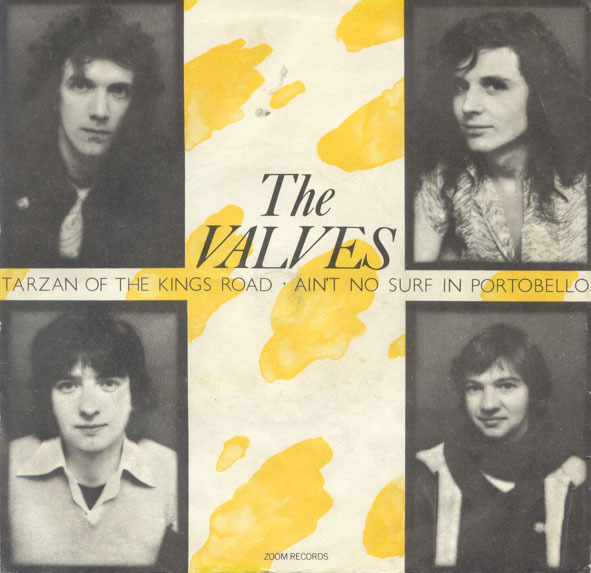 The Valves were one of the early punk groups from Edinburgh, Scotland. The band, cfeatured Dave Robertson as Dee Robot on vocals, G. Dair / Teddy Dair aka Gordon Dair on drums, Gordon Scott or Pada on bass guitar and Ronnie Mackinnon on guitar. The band was originally called Angel Easy and were a pub rock group. Some of you may very well wondering where the hell is Portobello. Wonder no more…..
BARKING OR GENIUS? I KNOW WHERE I STAND…..
It’s an absolute belter of a tune and while the lyric might appear somewhat nonsensical it is packed with all sorts of imagery and references from history and philosophy with a message of concern about the ever-increasing rightwards shift of politics across Europe as the free market system took an ever-increasing stranglehold on society (of which one UK Prime Minister had just a few years prior stated there was no longer any such thing), events which Mark E Smith thought would inevitably lead to warfare on a scale of that such as 1914-18 and 1939-45. 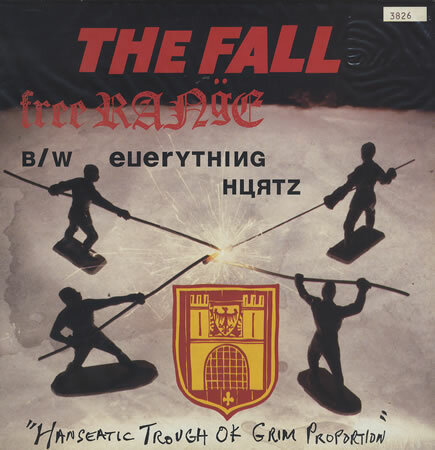 Fact….this is the only original Fall track to reach the upper echelons of the UK singles chart, hitting #40 for one week. 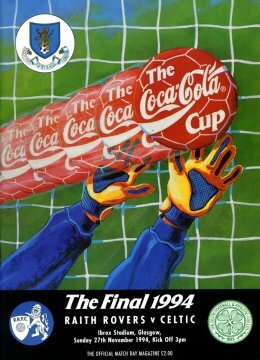 The 1994 Scottish League Cup Final was played on 27 November 1994, at Ibrox Stadium in Glasgow and contested by Raith Rovers and Celtic. Raith Rovers won the final on a penalty shootout after the match ended in a 2–2 draw. Rovers were by far the underdogs playing in a division below the Glasgow side, albeit Celtic were going through a trophyless barren spell stretching back five years. Rovers took the lead in the 19th minute but found themselves going 2-1 behind in the 84th minute when Charlie Nicholas (now a well-known football pundit in the UK) netted from close range. The lead however lasted just two minutes as Rovers stunned the vast majority of the crowd thanks to a goal from all-time record scorer Gordon Dalziel (now a well-known football pundit in Glasgow) headed in from even closer range after an error from the Celtic keeper. Extra time brought no goals and so went to penalties. The first 11 kicks were successfully converted before Paul McStay, the Celtic captain and regarded by all and sundry as a legend for club and country, saw his effort brilliantly saved by Scott Thomson in the Rovers goal. This was one of the biggest days in the history of the Rovers and was by far the biggest occasion since I had started going to watch them some six years earlier when my best mate had signed for them. But on 27 November 1994 I was thousands of miles away on a beach in Antigua, a holiday which had been booked some three months earlier when nobody ever imagined my team would make the final. That particular Sunday was right in the middle of two-week break and while I did try to get it rescheduled through the travel agent it was going to be far too expensive. I might have made more of an effort if my mate hadn’t suffered a serious Achilles injury some six weeks earlier and was therefore never going to be fit for the game, and so I had to make do in that pre-internet age of continually phoning my mum and dad for updates from a beach bar and then watching the re-run on video when I got home a week later. I did however, celebrate furiously on the day on the beach wearing my replica shirt very very proudly. PS : As is customary at this time of year, the Villains are about to go off on holiday as from 30 November; as such the postings for the next few weeks have been written well in advance and I’m sorry to say that I’m unlikely to be able to read any blog related e-mails or deal with any queries from the postings until mid-December. 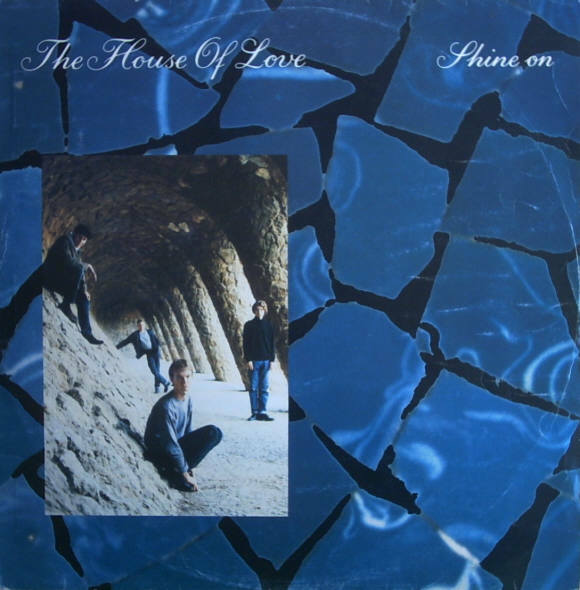 Back in 1986, the demo tape from The House Of Love led to the band getting a deal with Creation Records. The first single was Shine On, a cracking bit of indie-pop, almost goth-like, which really should have taken the charts by storm when it was released in May 87. Three years later, and despite a lack of commercial success, the band were considered worthy of a punt from Fontana Records based on the really well-received debut LP and so a lucrative deal was inked. However, the devil was in the detail of the contract and the band and label were soon at loggerheads on what sort of sounds should be getting recorded and released. 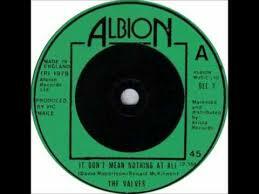 The tensions weren’t helped by the fact that the first two singles for the new label stalled at #41 and then by founder member and lead guitarist Terry Bickers deciding he’d had enough. The solution? Take the re-recorded version of the debut single and try again. This time it got to #20, by far the best performing 45 in the band’s initial six-year career. A tad more polished and therefore more acceptable to those who determined what could and should get onto the playtime lists of daytime Radio 1 and the various commercial stations. And while the original is rightly acknowledged as the ‘better’ version, only the very worst music snob would say they were appalled by the remix and begrudge the band the long overdue chart success. 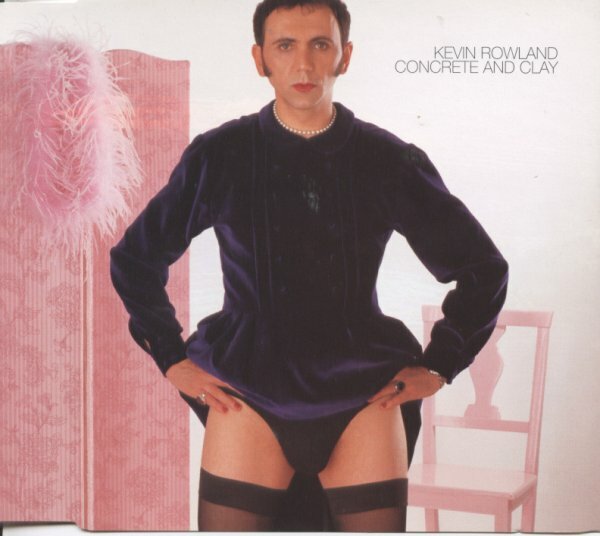 I’ve never hid my love for cover versions so you can imagine that I was quite excited to read that Kevin Rowland was working on an album’s worth of them and that the project was being bankrolled by Alan McGhee and Creation Records. This was back in 1999 and the LP was going to be released more than eleven years after the debut solo record, a period in which the former Dexy’s frontman had dealt with all sorts of issues in his personal life and battled with addiction issues. What was there not to look forward to? The thing is, I never did buy the album having been put off by the near-universal mauling it received from critics and fans alike. I remember one mate of mine telling me had bought it on the day of release from his usual record shop and the owner warning him it was actually worse than the reviews had indicted….so much so the owner offered my mate a 24-hour trial of the CD with a no quibbles, money-back back guarantee if he was proved right. My mate got his cash back….which I suppose is ironic given now that it is one of those CDs that is quite hard to track down and sells for upwards of £30-£40 on the internet. I don’t think the value is anything to do with the quality of the songs, but more the fact that Dexy’s Midnight Runners have had a brilliantly received comeback in recent times and many folk are keen to plug the gap in their collection. It’s rather awful….it’s musically very dull and akin to the sort of bloke who entertains folks drinking in bars on holiday on the Costa del Sol or the Canaries with his mixture of bad jokes and less than average singing. I really have tried but Richard Hawley just doesn’t do it for me. Jacques the Kipper is a big fan and I’ve usually been smitten by just about everything he’s brought to my attention over what is a friendship stretching back quarter of a century but not on this occasion. I can’t really even explain why. Anyime I’ve read his interviews in the press I’ve found myself agreeing with many of his views and sentiments and let’s face it, the types of songs he writes and performs really should be right up my alley. It’s the opening track of the 2001 LP Late Night Final. 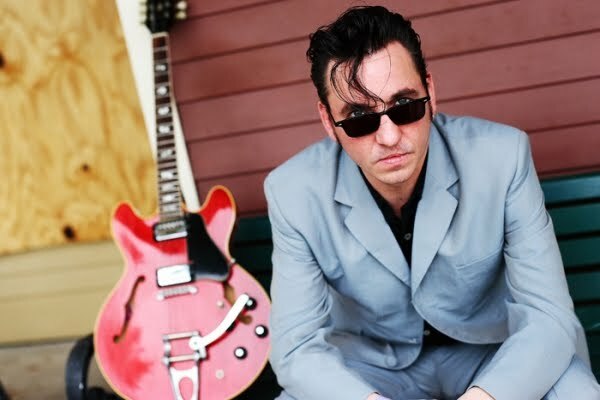 I’m not sure if it is possible to try too hard to like someone’s music but I do genuinely feel that I’ve approached Richard Hawley’s work with an open mind but have just felt underwhelmed on each occasion. Maybe the solution lies in the hands of any reader who is a big fan of his….why not suggest what would be the ideal 10-track compilation LP from him and maybe I can try it that way? I’m actually flying out on holiday this coming Sunday and will be putting together some new playlists to enjoy under the Caribbean sun and I’m prepared to try one more time.